A vase printed with the Z Corp Spectrum Z510 printer. Traditional fabrication methods involve a great deal of effort, expense, and time. Specialists often have to create individualized molds, assemble multiple components, and construct items from multiple pieces. The process can involve many different materials, a wide variety of highly trained workers, and several expensive trials before the perfect object are finally created. If you’re interested in home printer check here for the best home printer. 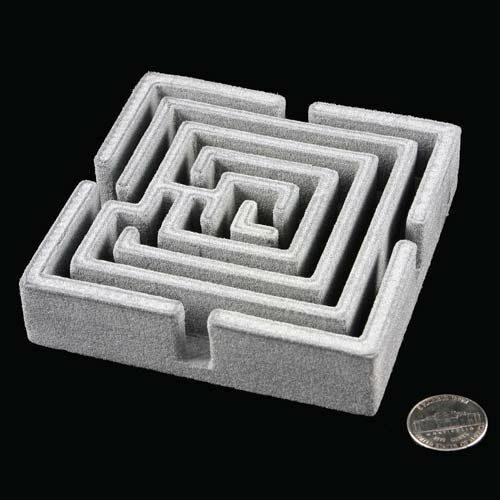 Rapid prototyping and 3-dimensional printing remove some of the time and expense from the process of creating new commercial and industrial objects. Instead of utilitizing a factory to create a sample for testing, self-contained printers create items from three-dimensional CAD drawings. 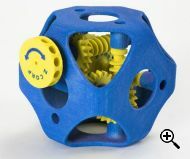 These items are printed one layer at a time, permitting more creativity and control over the final shape than any other construction method. Printing is also faster, cutting the creation process down from days or weeks to mere hours for most items. Chech this mspy reviews. Rapid prototyping is not a new technology. Professor Herbert Voelker (then at the University of Rochester, now at Cornell University) began considering ways to take the output from computer designs and use them in some of the automated machinist tools just starting to appear in factories in the late 1960s. His efforts resulted in the first real mathematical models and algorithms for describing three dimensional parts. His work is the basis for most design tools used today and made rapid prototyping possible. The next step involved a series of tools and machines that tried to automate object creation by cutting away at a solid mass of metal or other material based on a preset 3-dimensional design. This method continued to be popular (with mixed results) through the 1970s and early 1980s. Then in the mid-80s. University of Texas researcher Carl Deckard came up with the idea of printing objects layer by layer. The first commercial rapid prototyping machines using this layering technique were produced in 1987 by 3D Systems and unveiled to the public at the AUTOFACT trade show in Detroit in November of that year. This technique is still in use today, although it has been refined considerably. The basic concept behind all 3-D printers is the same. 3-dimensional CAD drawings are sliced into layers ranging from approximately 0.09 to 0.25 millimeters thick depending on the machine being used. Each slice represents a single layer of the constructed object. 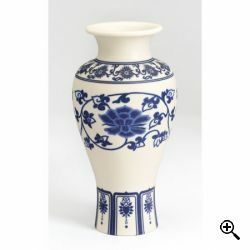 Different printers use different materials and different binding processes, but generally a powder of ceramic, nylon, or even metal is used as the base material and fused together into the pattern for the layer currently being created. After the completion of a layer, the machine moves on to the next layer until it is completed. For example, Z Corporation printers lay down a full layer of a composite powder then use an inkjet printer to print the binding agent and any color dyes onto the powder. The powder treated with binding agent solidifies, the rest of the powder remains loose. Two to four layers are printed per minute and the excess powder just falls off and can be reused in the next print job. Desktop Factory printers use a slightly different approach. Powder is applied to a roller and a halogen lamp etches the pattern for a single layer onto this coating. When the layer is complete, it’s rolled off into a build area, the roller is cleaned, and the process begins again for the next layer. Layers are joined in the build area using heat and pressure. Shapeways, an on-demand 3-D printing service aimed more at consumers than manufacturers, supports several different types of printing processes. Some of their parts are built using selective laser sintering (also called SLS), a process similar to the one used by Z Corporation but using lasers to fuse powders together rather than binder applied by inkjet technology. Other objects are built using fused deposition modeling (also called FDM) which involves extruding material through a nozzle onto a support structure that is later removed or dissolved. They also use a third printing method called Objet. Objet is a proprietary process; its details are not publicly available but Shapewaysdoes reveal that it involves lasers and a photo polymer. There are several other methods of this type of layer-by-layer rapid prototyping, and more are being developed all the time. Regardless of the physical printing process, 3-D printing generally begin from CAD drawings that are sliced into layers that act as templates for printing. Depending on the printer or service used, there may be software that does this slicing automatically or the user may be responsible for creating each layer (generally speaking, the process is automated in higher end models and manually performed for open source or less expensive printers). Some printers or on-demand services incorporate more user-friendly design interfaces that don’t require extensive knowledge of CAD drawing systems. This is often accomplished by restricting the design elements or feeding user chosen options into basic designs created for them by experts. For example, Shapeways creates its Lightpoems with one basic design adjusted for specific text input by each customer. Specialty printers lower the bar further by getting data from outside sources such as a gaming world or geographic databases requiring little input from the customer beyond a simple definition of the desired data (the name of a character, the coordinates of a location, selecting a location from a provided map, etc.). Different options may be available for different users with different backgrounds. For example, all Z Corp printers include software for designing models, software for slicing existing CAD drawings into layers, and software that allows medical personnel with little computer training to convert 3-dimensional medical scans into designs for 3-D models. 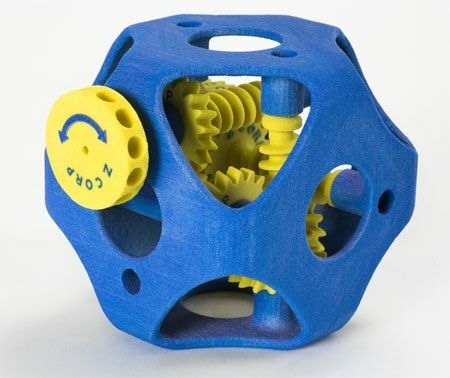 3-D printing and rapid prototyping have become more and more prominent in the past few years as new materials and processes have expanded the capabilities and lowered the cost to the point where small businesses and even individual consumers can now afford to create their own 3-dimensional objects. There’s even an open source 3-D printer designed by Carnegie Mellon that can be built at home for only $2,400. 3-D printing is moving from a prototyping system to a manufacturing system in some industries. For example, the UK-based Atkins Project is investigating the use of 3-D printers to manufacture lightweight, aerodynamic parts for aircraft that cannot be produced through more conventional methods. This manufacturing method also has the advantage of efficient use of materials; scraps of titanium and other expensive materials that would otherwise be unusable with traditional manufacturing methods can be reused with 3-D printing. Companies are offering specialized custom printing services aimed at niche users. For example, 3D Outlook Corporation offers 3-dimensional topographical maps aimed at hikers, real estate moguls, resorts, and others. Several new companies print models of avatars designed for various online games and virtual worlds. Although no longer available, there was even a service that let kids design and print their own superhero figures. In a similar vein, in addition to their customized design uploads, Shapeways specializes in customized designs of memorabilia for a slightly older crowd; one of their best sellers is the Lightpoem, a poem or other quote printed in a cylinder surrounding a LED candle. 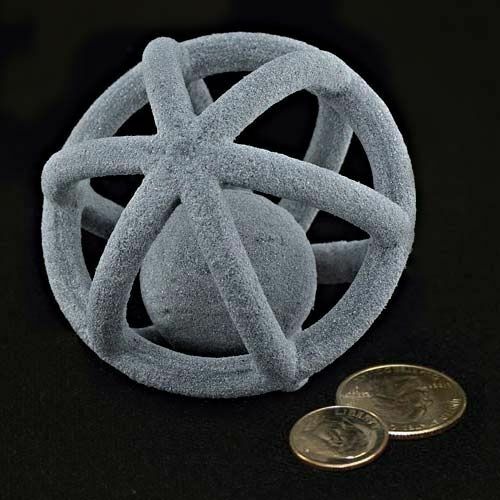 Medical applications of 3-D printing are also starting to appear, although they are still in the very early stages. These applications are surprisingly varied. For example, surgeons at Walter Reed Medical Center are starting to use 3-D printers to create practice models for complex surgeries. The designs for the models are based on images from CT scans and exactly model the bodies of specific patients. More generic models are being used to explain specific procedures to patients who may have trouble following technical jargon without a visual aid. 3-D printing is even beginning to make inroads into the prosthetic industry. The University of Tokyo Hospital recently completed a small test project that created artificial bones using 3-D printing and plastic surgeons are using 3-D printers to create masks of faces requiring prosthetic noses or ears so patients don’t have to endure plaster casting over their faces. 3-D printing is moving in several directions at this time and all indications are that it will continue to expand in many areas in the future. Some of the most promising areas include medical applications, custom parts replacement, and customized consumer products. As materials improve and costs go down, other applications we can barely imagine today will become possible. Perhaps the greatest area of potential growth for 3-D printing is in the medical field. As mentioned above, researchers are just starting to experiment with the idea of creating artificial bones with 3-D printers, but the process could potentially be used for so much more. Some companies are investigating the possibility of printing organic materials; these materials could be used in a much wider array of surgeries and potentially replace a much larger selection of defective human parts. Expect expansion of training techniques based on 3-D printed models of complex human systems, a greater effort to more explicitly explain surgeries or the workings of the human body to patients as detailed replicas of body parts to become more common, and more precise surgical and diagnostic equipment based on designs that can be printed but not manufactured using traditional means. There is certainly a market for customized keepsakes and 3-D printing can take that industry to new heights. Shapeways is already marketing several basic designs of customized keepsakes using either personalized text or photographs supplied by the customer. Will we reach a time when all of our personal items are customized to exact user specifications? Perhaps not, but some people feel we’re headed in that direction. There may come a time when choosing new cutlery doesn’t involve selecting a pattern at the store but designing it on your computer and printing out the resulting pieces. One day we may dial up just the right level of edge for a child starting to use sharp knives, build customized ergonomic handles that fit each individual’s hands perfectly (perhaps color coded for easy identification), or shape spoon bowls to generate the perfect mouthful every time. Another area of growth in the 3-D printing arena is replacement parts production. Need a new screw for your laptop? A new gear for your heirloom grandfather clock? A new piston for your car? Instead of trying to track down the part, pay for shipping, and waiting weeks for its arrival, you’ll just be able to print it out and go. Mechanics will keep specs for every part of every car ever sold in a database and print out whatever they need immediately with no difficulty. While it would save time and money for any part, it’s a particular boon for restoration jobs of all kinds where the original parts are extremely difficult to find or may not even exist anymore. Another intriguing area is customized food production. Evil Mad Scientist Laboratories has created a low cost, low resolution capable of printing models made from ordinary granulated sugar. We could soon see edible centerpieces, customized candy gifts, novelty lollipops customized for gift shops attached to tourist attractions, or chocolate sculptures rivaling the most complex ice sculptures out there. It’s unclear exactly how far we could go with printed food and if it will ever move out of the novelty area, but certainly an area to watch in the future. Now you can load/access your essential 3D printing software such as MeshLab, Meshmixer remotely from anywhere with trending virtual PCs from CloudDesktopOnline.com powered by one of the best DaaS providers – Apps4Rent.com. TFOT recently interviewed CEO of Desktop Factory Cathy Lewis (CL), Vice President of Business Development at Z Corporation Scott Harmon (SH), and CEO of Shapeways Peter Weijmarshausen (PW). Each company has a slightly different focus and collectively they give an overview of the 3-D printing and rapid prototyping industry. Q: What does rapid prototyping or 3-D printing mean or encompass from your perspective? A: (CL) Rapid prototyping and 3D printing all start with a concept that is becoming the overarching name for the technology and the industry – Additive Fabrication. With additive fabrication you have the ability to create a form, fit or function model from a CAD solid object modeling file that would have taken you several weeks or months to build using traditional processes and many thousands of dollars more than the additive fabrication method chosen – no matter which one. Each of these technologies or approaches deals with building an object, shape or form from a CAD file a layer at a time. It does not subtract material from a block of wood or plastic, such as you encounter in CNC or machining, it adds the consumable or material as needed and fabricates the final object layer by layer. This simple distinction of adding versus subtracting enables the user to create any geometry of their choosing – there are almost no limits to what you can build. Additive Fabrication is one of those rare technologies that although 20 years old is just coming into its own. In the beginning the models were fragile and brittle and could only be used for form but now with improved plastics, binders, and even metals you can create a very robust end-use part. And when you begin to consider the wide array of other materials that can ultimately be used I believe the potential is vast and new applications continue to emerge. It is a very exciting time for additive fabrication. A: (SH) Rapid prototyping from our perspective is the ability to create physical replicas of CAD models for use as prototypes in the design process without the use of secondary manufacturing processes (like molds and castings). A: (PW) Rapid prototyping is a very efficient way to produce unique and personalized models. We at Shapeways are passionate about creating and our community is too. 3D printing is very efficient and makes it possible for everyone to have their designs produced, regardless of production numbers. This really makes production capacity first only accessible to companies directly available to anyone on the internet. Q: What are some of the practical uses of rapid prototyping and 3-D printing? A: (CL) Additive fabrication has been a boon to anyone responsible for developing new products or manufacturing tooling. Your part or object can be turned around in hours versus weeks or months saving millions of dollars in the process. It is safe to say that not a single moving vehicle of any kind: water, land, air, or space is made today without the benefit of additive fabrication. And of course most consumer electronics, toys, etc. Additive fabrication is also used in the elite design and engineering schools to teach students the practical side of their course of study. And with the advent of low cost technologies like ours, students in middle school and high school will also be able to learn the complex principles in STEM (science, technology, engineering, and math). The medical field began their use of these technologies with models for education and to act as surgery guides. Now with metals available we are beginning to see replacements for hips and joints. This is why I commented on the untapped potential that lays ahead. You can add to this list visual aids for manufacturers, architectural models, hearing aids as final products even pieces of artwork are becoming more common as an artist can test their design before committing to expensive media such as stone or metal. Dentists are beginning to look at additive fabrication to reduce the steps and costs involved with crowns and other dental work. We are even beginning to see avatars printed due to the wild popularity of on-line gaming and we know of several Do-It-Yourselfers, DIY, who are taking advantage of additive fabrication for personal customization. This list will continue to grow. A: (SH) The most common use is to create physical models that allow industrial designers and engineers to more quickly and effectively develop designs. The physical models do this in many potential ways. – Prototypes can be shown to buyers, consumers, sales personnel, marketing personnel, etc. to generate feedback. 3D printing is now increasingly used for visualization models in industries like architecture and medicine. The typical person is far better able to understand physical models than on screen representations. So when architects communicate with clients and planning boards or doctors discuss complex surgeries with patients, these models can be extremely valuable in ensuring that all expectations and understandings are clear. A: (PW) Enabling production of limited run or unique items. Q: What type of design limitations are there? A: (CL) If you are knowledgeable in selecting the right process and the right material for your purpose you will have few limitations. But I should remind you that some of these choices are very expensive so a little research is in order. The few things you do need to consider are fine detail, surface finish, wall thickness, and durability as some processes will deliver a beautiful but fragile object and some of the more durable output may not be as finely detailed. A: (SH) Size limitations are 8x8x10 for the [Z Corp] 310 and 450, 10x15x8 for the [Z Corp] 650. In all cases you can tile pieces together to get much larger parts as desired. Generally you can 3D print almost any shape you can conceive of. In fact you can print things that would be impossible to manufacture any other way. With our system, the printed matter is supported by loose powder which then gets recycled. There are no support structures to be built or removed. Unfortunately, I don’t know how to characterize minimum wall/feature thicknesses. It’s very dependent on lots of factors. Q: What are the primary issues 3-D printers still need to overcome? A: (CL) The technology needs to become more user friendly and reliable. Some of the materials require a great deal of post processing which can involve time and chemicals. Ease of use is a constant refrain and once you come to rely on the capability uptime and reliability become increasingly important. Costs are too high but we have seen some movement there in the last year or two and when we [Desktop Factory] enter the market later this year there will be an entirely new price point. A: (SH) Expanding the range of 3D data that can be 3D printed is a significant opportunity. Making the machines easier to use. Further reducing the cost. A: (PW) Lower price, more colors, more, and different materials. Q: Where do you see the industry going over the next five years? A: (CL) As I have mentioned before materials and new applications will continue to evolve as people become more familiar with the capability and the manufacturers harvest some of the materials investments they are making. Rapid manufacturing – one of the types of additive fabrication but for end use parts – will grow dramatically during this timeframe. I hope we see several new options for creating a good solid object modeling file like low cost scanners and computer programs that will translate pictures into files. Pricing will also come down somewhat during this timeframe. We will undoubtedly see more medical use at the higher end of the spectrum and more creative uses in the DIY area. A: (SH) The two major trends appear to be direct digital manufacturing and the democratization of 3D data. Instead of making a prototype, there are some applications where the 3D printed products can be sold to end customers for use. This is called direct digital manufacturing and exists today for both consumer and industrial applications. We expect this to expand. Democratization of 3D data refers to the increasing awareness and usage of 3D data by non-CAD experts. Video games like Spore, software like Dassault’s Cosmic Blobs, or Google’s Sketch-Up are all entry points to 3D data for non-CAD types. We believe that these applications will grow rapidly leading to broader use of 3D printers. A: (PW) Unique manufacturing, based on amongst others 3D printing will enable anyone to get personalized items. For instance, get personalized cups for the birthday party of your kid instead of buying standard cups at the local shops. More and more things will be made specifically to the demands of buyers and not mass produced. Q: What are some of the pie in the sky, far-future applications of rapid prototyping and 3-D printing? A: (CL) I don’t know how farfetched the timing might be on this but I review the patent filings for additive fabrication on a quarterly basis and I also attend as many seminars as I can. There is a lot of interest and some recent patent filings in using additive fabrication with bio-materials. This capability, if perfected, could usher in a whole new era in medicine. We could see a time when you receive a manufactured bone or replacement organ using these technologies with these special materials. On the other end of the spectrum we believe that one day you and I will print replacement parts or game pieces at home with the click of a mouse using your personal 3D printer. We will no longer rely on the manufacturing value chain to build millions of objects in low cost geographies only to transship them globally to warehouses and then stores so that we can drive to get them. We will be in a position to use this technology to reduce our carbon footprint and who knows, we may even see waste materials used as the printer consumable. A: (SH) Most of the “out there” applications are already being done on a small scale today. Video game avatars are now being 3D printed for games like Spore, Rockband, and World of Warcraft. Companies are using 3D printing to “print” custom pills with variable dosages of different substances. Researchers are building tissue scaffolding with 3D printers that could one day lead to the 3D printing of customer bone and other tissue implants. 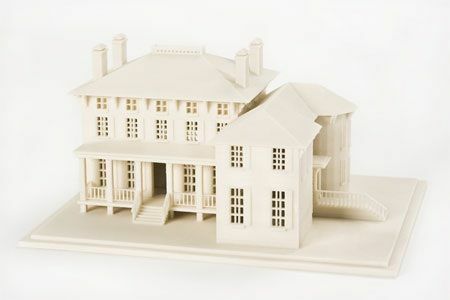 You can 3D print ceramics that can be used for plates, pottery, and architectural highlights. There are a variety of others that are still confidential.